Is losing weight hard? It can be. 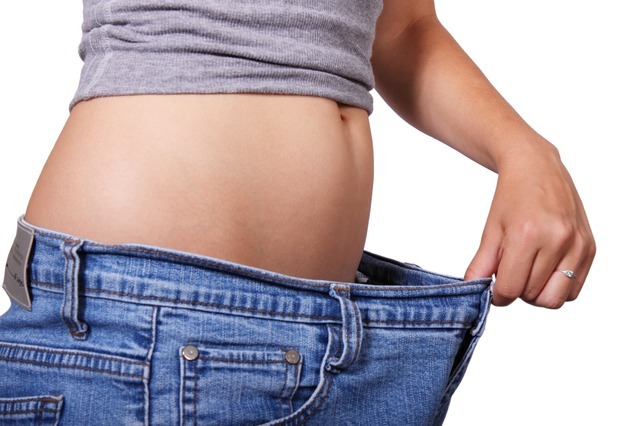 But working these five simple tips into your life can make weight loss programs easier. Share. Specifically, share your meals, especially when dining out. Practicing portion control is one of the easiest ways to cut back on your calories, but restaurants are notorious for their oversized servings. When you’re dining out, split a meal with someone else. Don’t order dessert or an appetizer unless you can share. If no one at the table wants half of what you’re having, ask for a to-go container at the start of your meal and put half of it away for later. Add foods to your diet. Instead of thinking about all of the foods you should be giving up, focus on adding new, healthy foods that you enjoy to your diet. Experiment with fruits and vegetables, and when you find something you love, find creative ways to add it to meals. Walk, walk, and walk. Walking is an easy and effective form of exercise, and it doesn’t require any money or special equipment. Ideally, you should try to walk at least 30 minutes a day. If you can’t find 30 minutes all at once, walk for 10 minutes before work, 10 minutes at lunch, and 10 minutes after dinner. You can also add walking into your daily life-park farther away from the door, take the stairs instead of the elevator, or consider getting off the bus a few stops early. Make TV time tone-up time. As part of its Go Red for Women campaign, the American Heart Association (AHA) recommends toning up while you tune into your favorite TV shows. You might dance or walk in place while you’re watching TV, or do curls with small free weights. Don’t have free weights? Try lifting canned foods or bottles of soda. Use smaller dishes. Experts agree that a big part of portion control is psychological. Eating a little bit of food off of a large plate can leave you feeling like you need more, but eating the same amount of food on a small dinner plate gives you the visual cue that you’ve already had plenty. Don’t stop with plates. Using smaller bowls and cups can have the same effect, and using smaller spoons can make you eat more slowly, which is also conducive to weight loss. I first came to the Institute for Weight Management under duress. I practically had to be dragged in by several members of my family. In fact, it took quite a few cancelled initial appointments before I finally got up the courage to face the truth about my weight. I must admit though even after the first appointment I was not convinced, this is what I needed to do. It was not that I wasn’t sure the diet would work it was that I wasn’t confident enough in my ability to maintain the program. After all, like many others, I love food and the thought of a meal replacement formula was almost repulsive. Nonetheless, I reluctantly succumbed to my family’s wishes and agreed to try the program for one week. However, I was by no means happy with my decision and would even make excuses that I was only doing this because I had a wedding coming up and I was in the wedding party. I must admit the first weekend was not easy, but by midweek I began to realize it was really not that bad. Distracted by work and life’s daily activities, I actually stopped feeling hungry by Monday. By the end of the week I was actually excited for my appointment to find out how much weight I lost (believe it or not my wife and I do not actually own a scale). Even I was amazed when the scale showed that I had lost 11.5 pounds in one week. This was all the motivation I needed to continue the program for another week. The second week was much easier and smoother then the first and the second weigh though not as good as the first was continued motivation to keep returning. 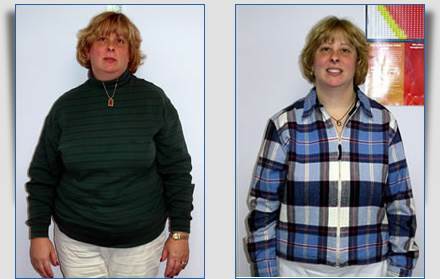 I have now completed 3 ½ months on the program and to date I have lost 70 pounds. I even managed to lose a few pounds over the Christmas and New Year’s holidays. I know it is cliché but really do feel like a new person. I clearly am more active and have a lot more energy during the day. I even find myself glancing in the mirror just to look at my new body. Now there are no more excuses. I am not doing this because I have a wedding coming up, I am doing this because I want to be healthier for me and my family and I am doing this to feel better about myself. In fact, I have to admit I could not have lost so much weight if my wife, my parents, and others in my family were not so supportive. They truly have inspired me to continue to not only attempt to reach my goal weight loss of 100lbs. but to continue on beyond that number. I truly believe a good supportive base of family and friends has helped me overcome my addiction to food. My only regret is that they didn’t drag me to see Dr. Chhabra sooner. Dr. Chhabra and her staff have been not only professional and courteous but have been like an extended family who have provided much needed support over the last few months. I can now say I truly am a believer not only in Dr. Chhabra but in myself. 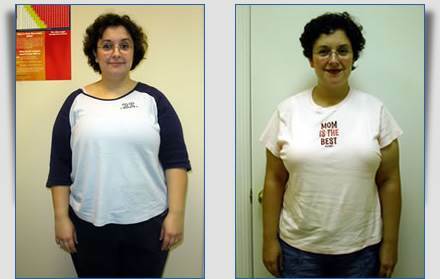 Around April 27, 2006, I decided desperately to do something wonderful for my health by setting a goal to drop several pounds of excess weight. I knew that I could do it and knew it would take some time, but I was determined to achieve my goal. I had not put this weight on overnight and had to take it off gradually in a healthy fashion. I tried over the counter items without success. After repeated failures, and feeling that this was my last and only chance, I decided to go to a weight specialist. As we age health problems that we had never thought about can occur at any time. Carrying excess weight makes the chances of these problems occurring more likely. 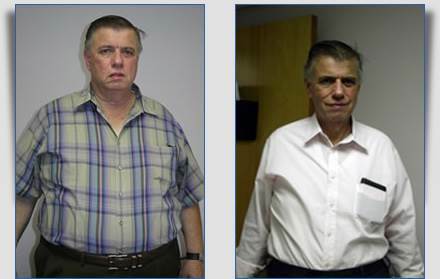 Now, after losing 33 pounds, I know that I am not only reducing my risk of future weight related health issues, but I am also looking and feeling much better. I have more weight to lose and I know that with the help of Dr. Chhabra and the Institute for Weight Management, I will be successful. 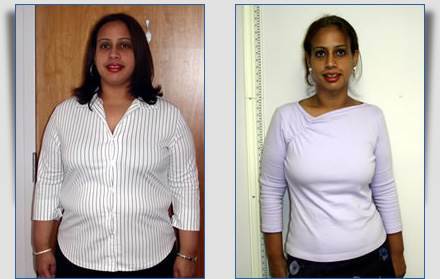 I recommend Dr. Anjana Chhabra and her team to anyone who wants to shed excess weight. I’m sure you will be put on the right track for a healthy you for the years to come. When I came to Doctor Chhabra’s office in September of 2005, I had several medical and lifestyle issues. I had hypertension and sleep apnea for many years. The combination of my weight and my arthritic knees made it difficult to walk without getting out of breath and stairs were even more difficult and painstakingly slow. I was always tired and uncomfortable. 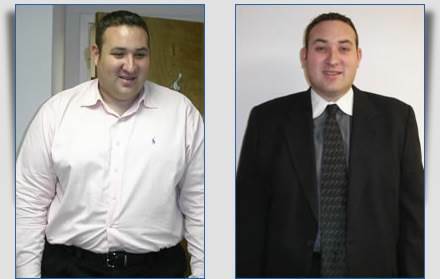 After six months I have lost more than 100 pounds (and still counting). My blood pressure is virtually normal and I will soon be off medication. The sleep apnea is gone. The weight loss has essentially eliminated the effects of the arthritis on walking, running and managing stairs, while the other effects (not exacerbated by excess weight) still continue. I feel great. I now go to the gym regularly. I’m very energetic and preparing for transition and the return to eating with great optimism and a feeling of self-confidence and accomplishment. A significant part of the program’s success is Doctor Chhabra’s willingness to allow some flexibility in the program to accommodate individual patient preferences. I am very pleased with the program and staff. Everyone has been great. I have lost 35 pounds. Over the years I have lost a lot of pounds, but eventually gained them all back. 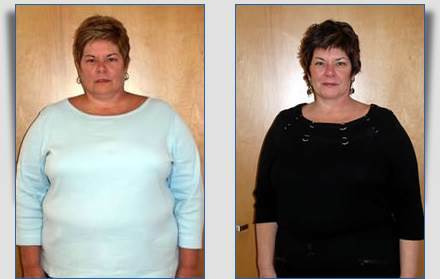 When I started the Optifast program I realized that while I had been changing my body, I had not been changing the most important thing for weight control – my mind. By attending the Institute for Weight Control I have learned very important things about nutrition and behavior. I am still working on my eating style, but it is OK, because I’m looking for long lasting results. Thank you, Dr. Chhabra, Susan, Sheila, Esther and Sharda for your support. I really wanted to thank you for your support and encouragement. Being a heavy person for your entire life can not only be harmful for you health, but it can be horrible for living in today’s society. People are mean and you are CONSTANTLY judged by appearance. I can’t tell you the number of times people have said to me, “you have such a pretty face….it is such a shame”. Sometimes I think about people who are scared for life or who have permanent disabilities and I feel guilty that I am not working harder at improving myself when I actually can. Because of my weight loss, I have become even more outgoing and more confident. 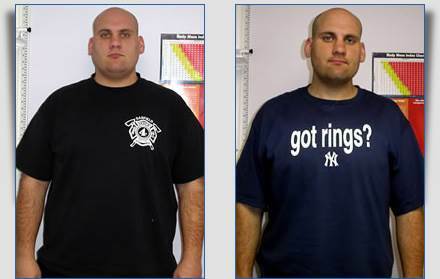 I have become a role model for those trying to lose weight and even those trying to get through a step class at the gym. Old friends and people I see every week always tell me how wonderful I look and I am finally starting to enjoy it! At first I was hurt thinking, “wow – I wonder what they thought of me before”. But now I realize how hard I have worked and how much I have accomplished. This is the first time that I have actually committed to my New Year’s resolution from last year. I read an old journal entry (I write about once in 10 months) that described how horrible I felt being so heavy and not being able to lose weight. I am thrilled with the progress I have made and am confident that I will continue to take care of myself and even lose more weight. Thank you, thank you, thank you, for being there and guiding me on the right path. When I started my weight loss journey in October, little did I know what a life changing experience it would turn out to be! Thanks to Dr. Chhabra and her staff, my journey has been full of good experiences and positive feedback. After trying every weight loss program out there, I have finally found what works for me. I have also come to realize that weight loss involves not only what goes into your mouth, but also what goes into your head! That is why I feel it is so important to attend the weekly nutrition counseling sessions with Liza. I have found a new, positive way to ‘eat to live’, instead of ‘living to eat’. I have a whole new outlook on food, and its importance in my life. No other program has ever helped me achieve this. 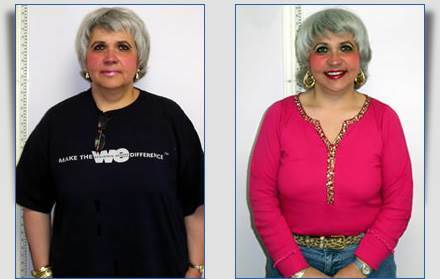 I want to thank Dr. Chhabra, Liza, and Esther for helping to make my weight loss journey a postive life changing experience! When I first came to you I was obese, out of shape and feeling poorly. After 13 weeks I’m down 34 lbs and am exercising every single day and feeling great. I recommend your program to anyone who is sick of fad diets and tired of being fat. I‘ve finally learned how to eat healthy for life. I ‘ve been on the Full Fast Diet Plan for 12 weeks, and have lost a total of 60 lbs. Also my body fat went from 41% to 22.5 %. My energy has increased during this diet and my personal feelings about myself have increased greatly. I went from 294 lbs to 235 lbs in these 12 weeks and it has been great. 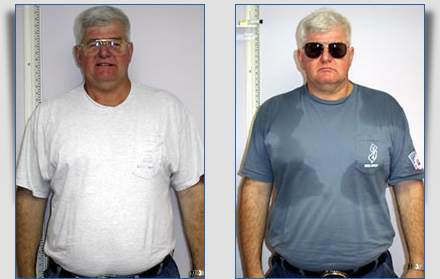 I have used this diet so that I can join the United States Marine Corps.